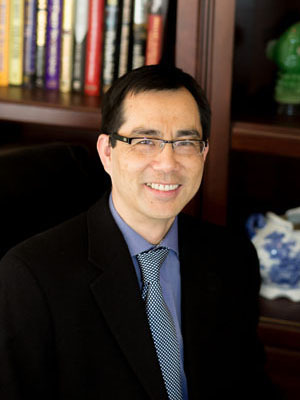 Dr. Zhou, Professor of Computer Science, serves as the Interim Dean of College of Engineering and Applied Science, University of Colorado, Colorado Springs. He served as the Chair of Department of Computer Science from 2011 to 2016. He directs Distributed, Sustainable, and Cloud Computing Systems (DISCO) Lab. His research lies broadly in computer network systems, more specifically, cloud computing, distributed systems and datacenters, BigData parallel processing, autonomic and sustainable computing, scalable Internet services, and computer networks. His research was supported in part by US National Science Foundation (NSF). He was a recipient of NSF CAREER Award 2009, and the University Faculty Award for Excellence in Research 2011. He was the Faculty Marshal of the University Commencement Winter 2011. Dr. Zhou served as a a General Co-Chair of the IEEE ICCCN 2014 and IEEE ICCCN 2012, Program Co-Chair of the IEEE/ACM CCGrid 2015 and IEEE ICCCN 2011, a Program Vice Chair of IEEE/ACM CCGrid 2014, IEEE GLOBECOM 2010, IEEE ICCCN 2009, and IEEE HPCC 2008. He serves/served IEEE Networking Letter, ACM Transactions on Autonomous and Adaptive Systems, Journal of Parallel and Distributed Computing, Computer Communications, Journal of Network and Computer Applications as a guest editor or associate editor. He is senior member of the IEEE. News: One Postdoc position is available in the area of Distributed Systems. Congratulations! PhD 2018 Graduate Beaulah Navamani. Congratulations! PhD 2016 Graduate Dazhao Cheng joined the University of North Carolina at Charlotte as an Assistant Professor in the Computer Science Department. Congratulations! PhD 2016 Graduate Jason UpChurch joined a USAFA Lab as the Principle Investigator. Congratulations! PhD 2015 Graduate Yanfei Guo joined the Argonne National Lab as a Postdoc (now Assistant Scientist). Congratulations! PhD 2014 Graduate Dennis Ippoliti joined Microsoft as a Project Manager. Congratulations! PhD 2013 Graudate Sireesha Muppala joined Amazon. Congratulations! PhD 2013 Graduate Palden Lama joined the University of Texas at San Antonio as an Assistant Professor in the Computer Science Department.